WASHINGTON -- The Senate's top Republican says there's Senate agreement on a two-year, almost $400 billion budget deal that would provide Pentagon and domestic programs with huge spending increases. 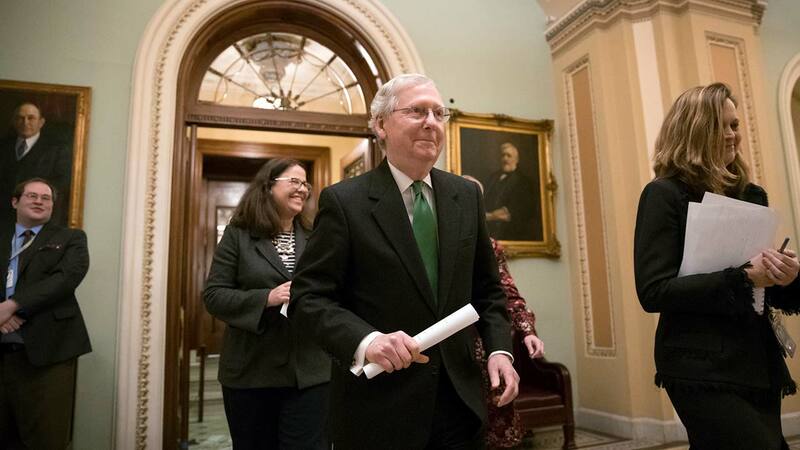 Senate Majority Leader Mitch McConnell announced the pact, joined on the Senate floor by top Senate Democrat Chuck Schumer of New York. It would contain almost $300 billion over current limits on defense and domestic accounts. The measure, aides said, also contains almost $90 billion in overdue disaster aid and an increase in the government borrowing cap that would prevent a first-ever U.S. government default on its obligations.